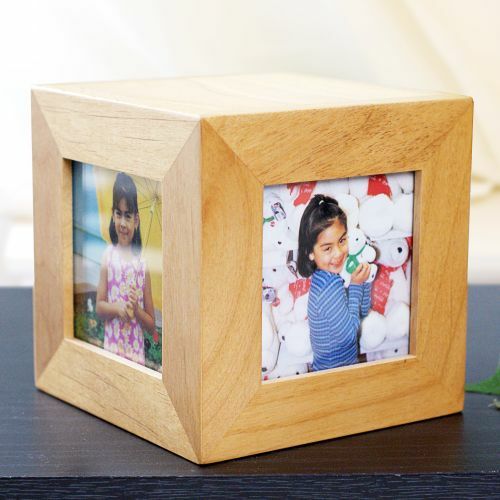 In the Beginning Personalized Baby Photo Cube Capture your child's first moments and display them for all to see. When words just cannot express your feelings use Pictures to show everyone how you feel. 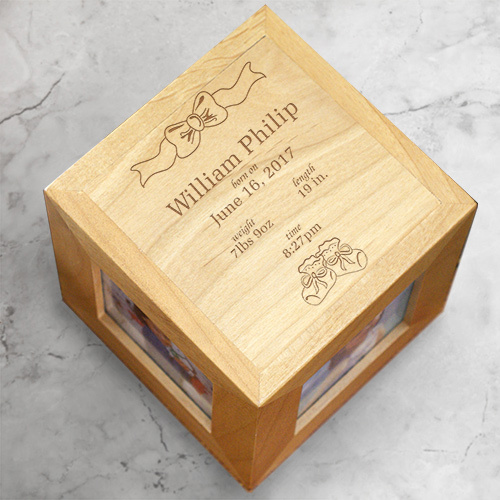 Our beautiful natural wood 4.5" personalized Baby photo cube features 4 separate photo openings measuring 2.5" x 2.5". Personalized Baby Gifts Include FREE Personalization! Personalize this great gift with new baby's name, birthdate, weight, length and time. Makes a great Personalized New Baby Gift.